Hawaii is world-famous for its pristine white-sand and multi-colored beaches, we’ve compiled a complete Big Island beach guide to help you find your ideal beach. Home to expansive, dazzling beaches around every corner, the Big Island is a paradise for those seeking refuge in sun, surf, and sand. 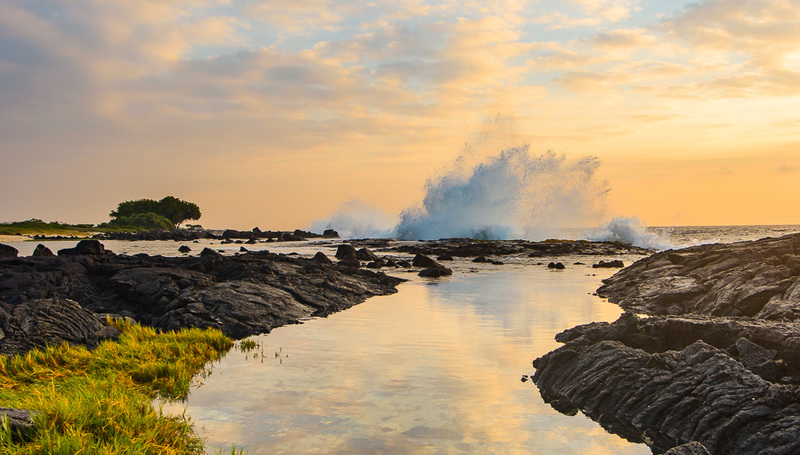 Geographically young and ever-changing, the beaches on the Big Island are reflective of this dynamic environment, with hundreds of miles of beachfront just waiting to be explored. The diversity in Big Island beaches is unmatched; you’ll find cool, white silica sands, pitch-black volcanic sand, sparkling green sand, and smooth outcroppings of lava rock that extend hundreds of feet into the ocean. 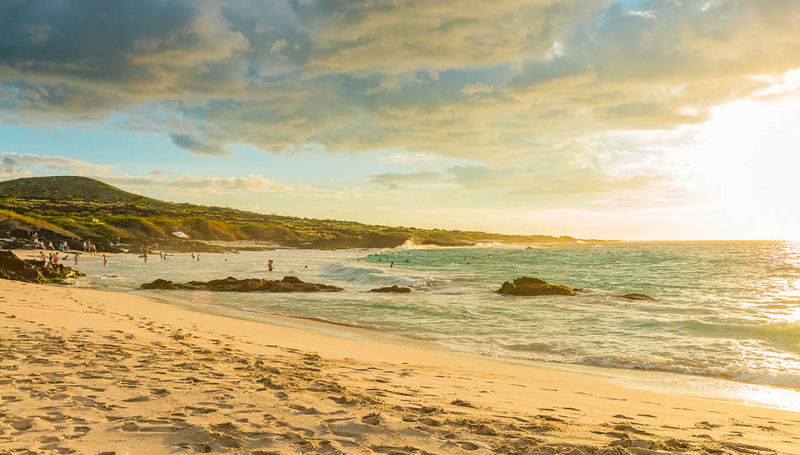 No matter where you may be on the Big Island, you’ll find dozens upon dozens of amazing beaches to explore and enjoy. Use the map below to find the perfect beach for your day in the sunshine or in the water. Thanks to the expansive nature of the Big Island, the beaches here aren’t quite as crowded overall as some of the other Hawaiian islands. Depending on what time you head out to the more popular beaches, you’re very likely to find a good spot to set up shop and enjoy a day at the beach. 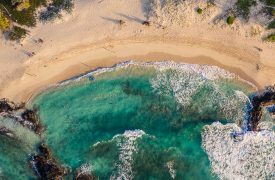 But if you truly want a secluded beach day, the remote beaches found throughout the Big Island will also cater to that need with ease and style. A Hawaiian beach day offers a dizzying amount of options for fun. 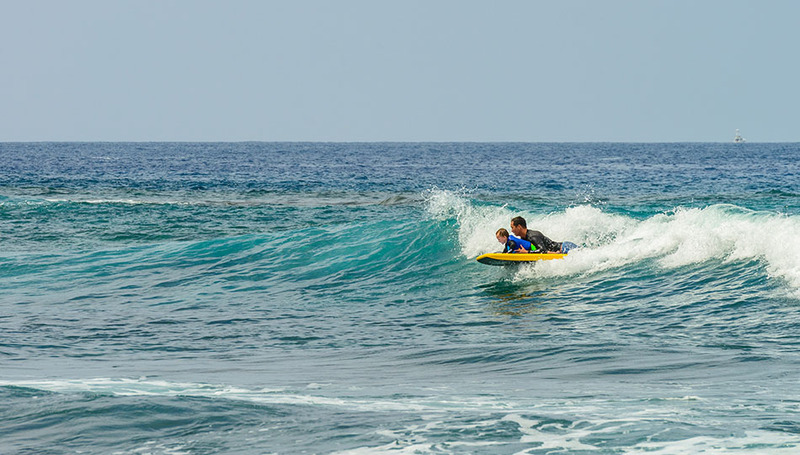 There are great Big Island Beaches for every activity from boogie boarding, surfing, and paddle boarding to soaking up the sun, snorkeling and swimming. Whether you choose to sit, lounge, and catch some rays or venture out onto the water, you’ll find that some beaches are better suited for different inclinations than others. Our list of beaches below will help guide you to the best beaches on the Big Island for your particular interests. A geothermically heated hot pond in a larger county park, Ahalanui Hot Ponds were the perfect spot for a relaxing outing. Unfortunately, this hot pond was covered over during the 2018 Kilauea eruption and the area has not reopened at this time. 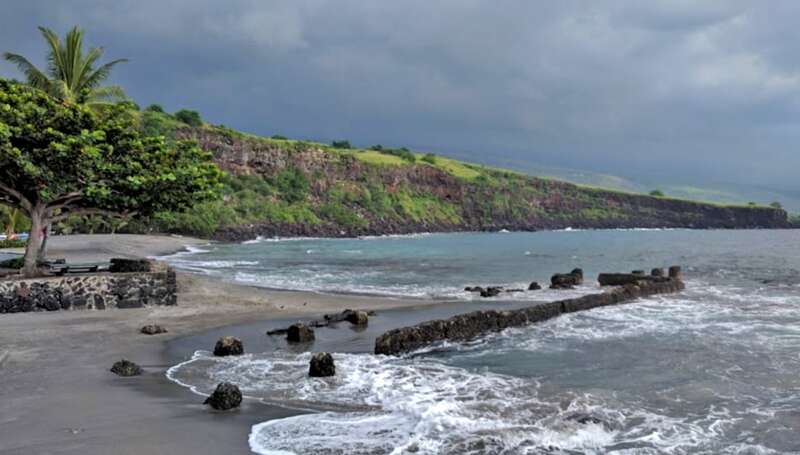 A-Bay is a photographer’s favorite beach along the western side of the Big Island and offers plenty of opportunities for a variety of beach activities. The protected bay makes for great swimming, snorkeling, and paddle boarding. 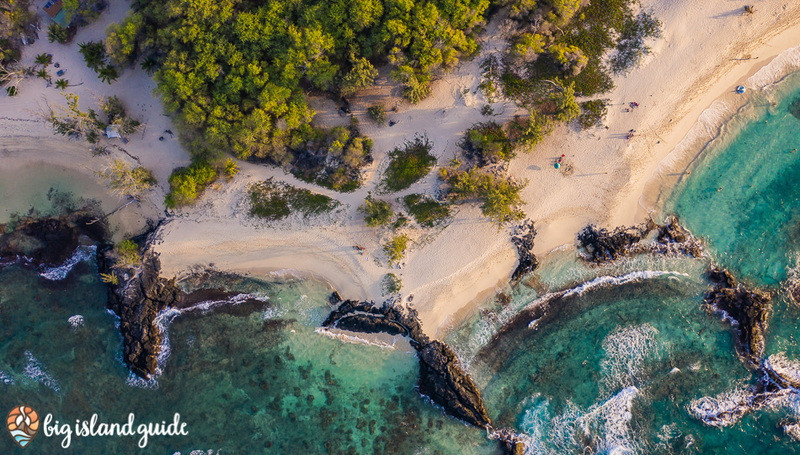 A protected swimming area that’s lined by lava rocks, Carlsmith Beach Park is well-appointed and perfect for swimming, snorkeling, seeing turtles, fishing, and relaxing on the water. 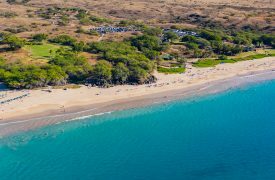 Hapuna Beach is world-famous for it’s pristine white sand, boogie boarding friendly shore break, beautiful weather, and family-friendly fun. This large park has every amenity you need to enjoy a lengthy beach day with your family and friends. 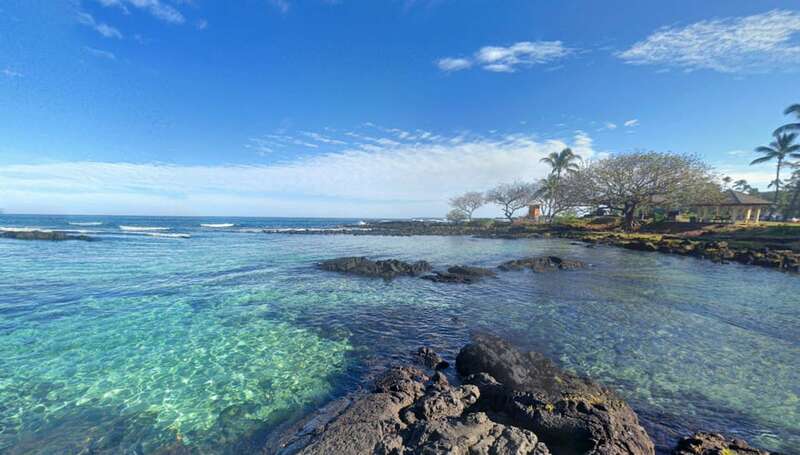 Known as one of the Big Island’s finest snorkeling spots, Two Step has everything you need to enjoy some quality snorkeling or diving. With healthy coral, large schools of fish and a real chance of swimming with dolphins, there’s a reason why Two Step is a favorite for those seeking snorkeling, swimming, and diving on the Big Island. 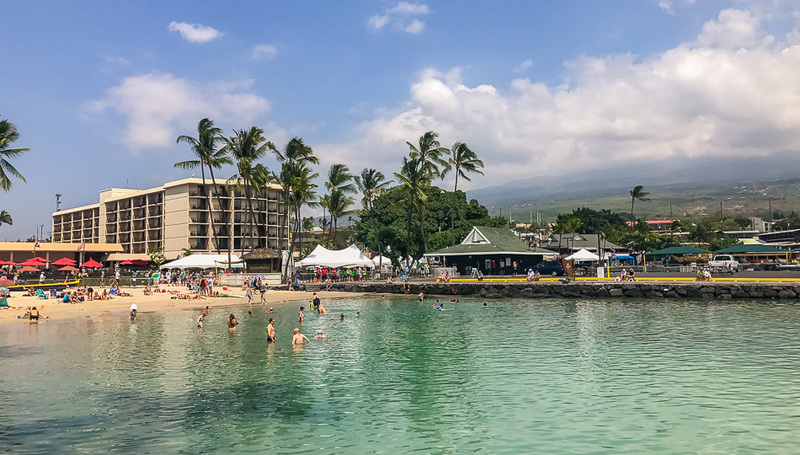 A little-known beach near Kailua-Kona, Honl’s Beach is the birthplace of boogie boarding and therefore is perfectly suited for water sports and activities. 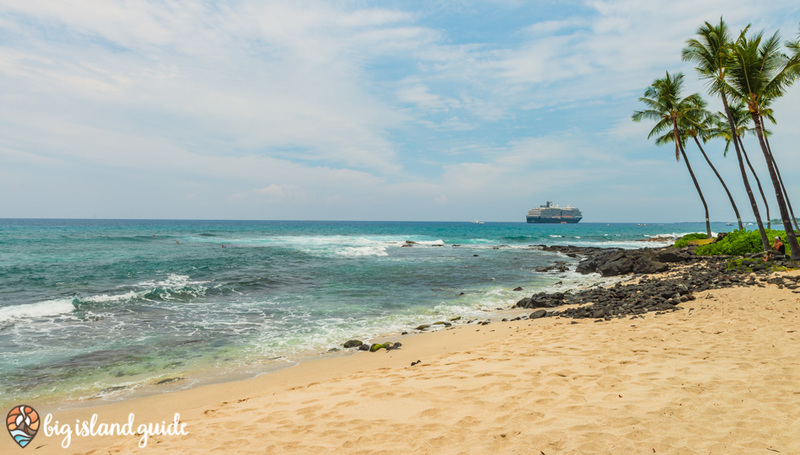 With nicely maintained amenities and active waters, it’s a great spot to enjoy an exciting day on Hawaiian waters. 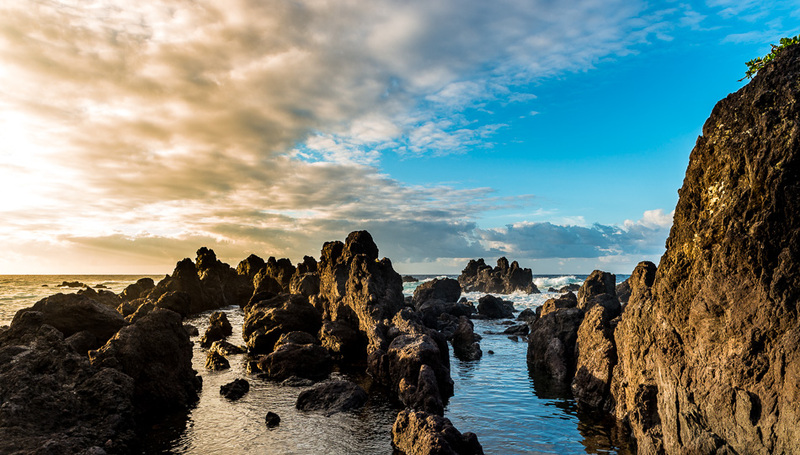 Honokohau Beach and the Aiopio fish trap are beautiful and historic areas within the Kaloko-Honokohau National Historic Park with petroglyphs and trails to explore, two beach areas, and many freshwater springs, fishponds and tide pools with green sea turtles resting. Honolii Beach is renowned for its year-round swells; with the summer months generating calmer waves perfect for intermediate surfers and body boarders. 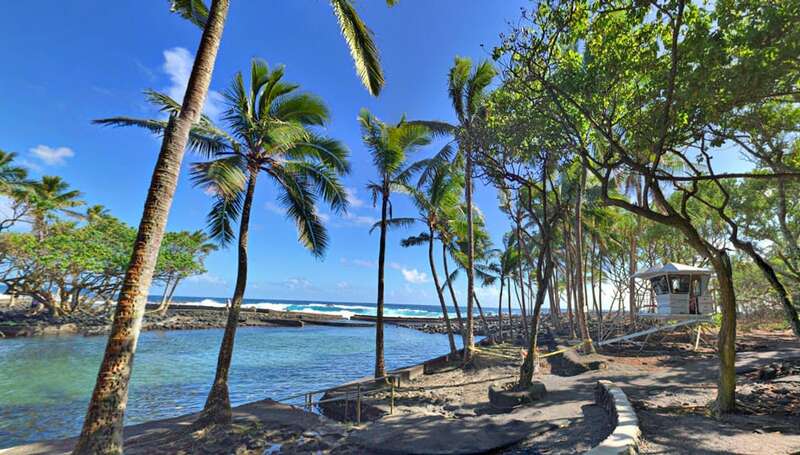 Hookena Beach Park is regarded as one of the Big Island’s best beaches for camping, swimming, snorkeling and boogie boarding. Among the most popular surfing destinations on the Hilo side of the Big Island, it’s a local’s favorite hangout. This whole area was dramatically changed by the 2018 volcanic eruption with a huge black sand beach forming. The boat ramp was buried in sand, but the park itself was largely spared. You’ll find restroom facilities, picnic areas, and a lifeguard on-duty. 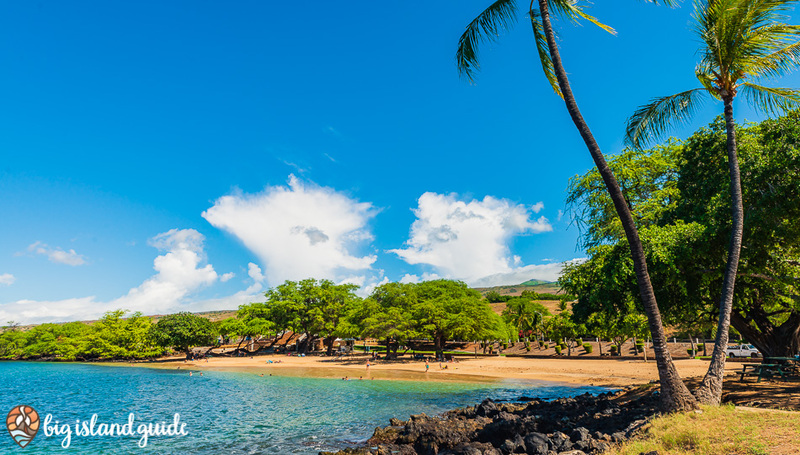 While it’s not the fanciest beach in Hawaii, Kahaluu Beach Park makes up for its grey-sand appearance with excellent snorkeling, swimming, beginner surf breaks, and lounging with ample parking, shower facilities, picnic areas, and restrooms. 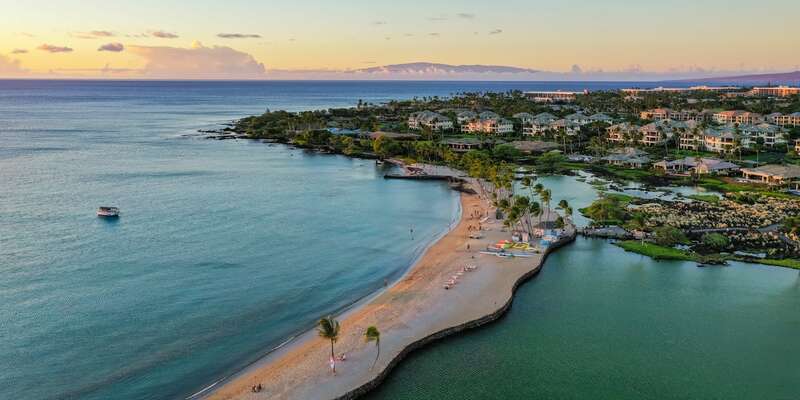 Positioned in front of the King Kamehameha Hotel, Kamakahonu Beach is nicknamed King Kam beach and offers a small beach with protected snorkeling and swimming opportunities. 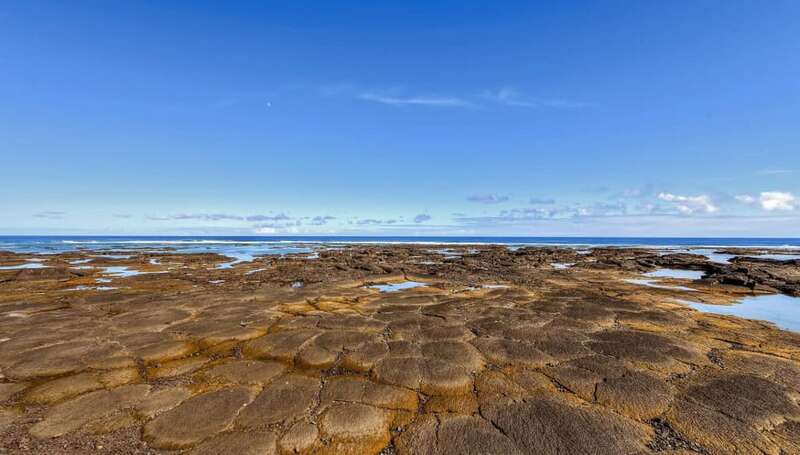 Sadly, the incredible Kapoho Tide Pools were destroyed during the volcanic eruption of 2018. This article offers an overview of what the area was like and information about the current condition of the area. 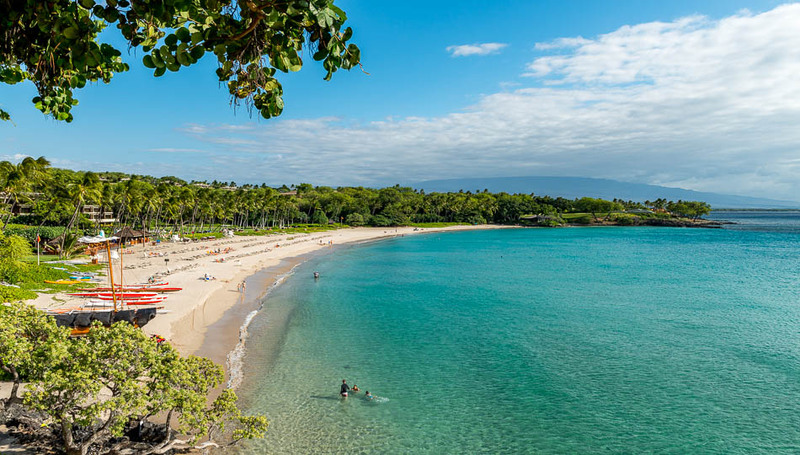 Better known as Mauna Kea Beach, Kaunaoa Beach is among the best Big Island beaches, with gorgeous white sand and sparkling water in front of the Mauna Kea Beach Resort. Typically gentle conditions make for ideal snorkeling, swimming and paddle boarding conditions in the crystal clear waters. One of the finest snorkeling areas in all of Hawaii also happens to carry tremendous historical significance. 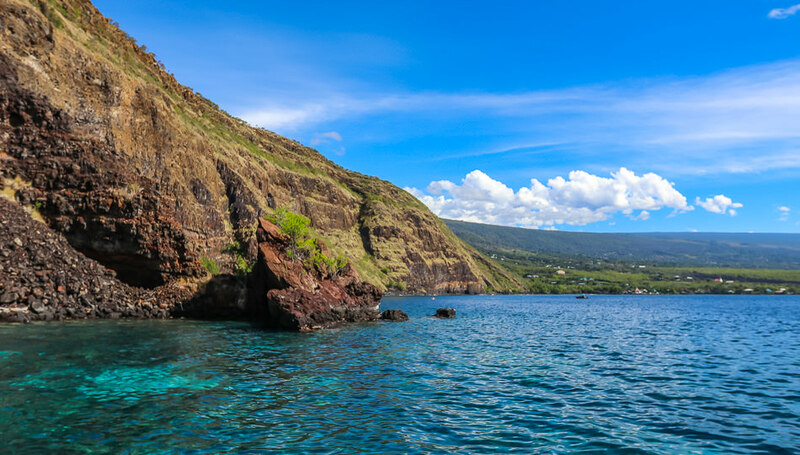 The site of Captain Cook’s landing and demise, Kealakekua Bay is a protected area that’s only accessible via a lengthy hike, boat tour, or permit-only kayaking trip from the parking lot across the bay. 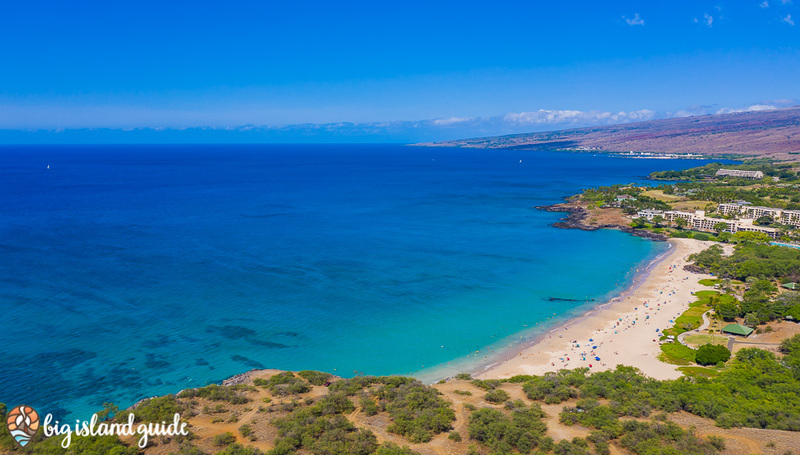 Keauhou Bay is a quiet bay with sunny skies and perfect waters for snorkeling, paddle boarding, and kayaking as well as a departure point for many boat tours. 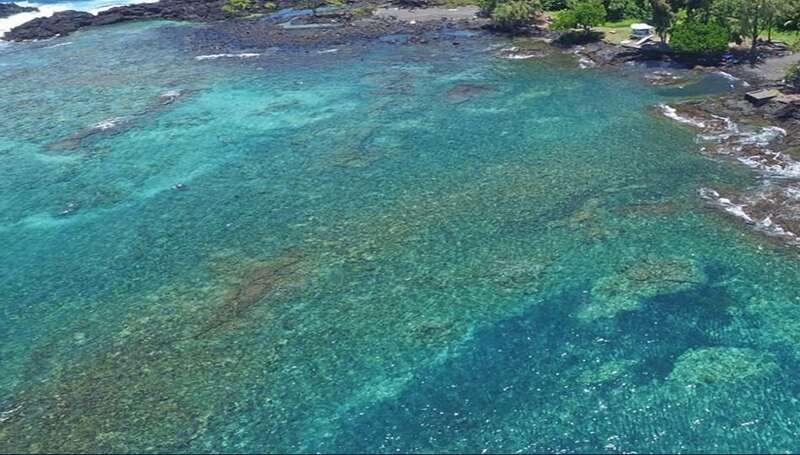 Kiholo Bay located along the Kohala Coastline is a beautiful bay with ancient Hawaiian history, a historical lava flow, abundant marine life and a Nature Conservancy restoration project taking place on it’s shore on the Big Island of Hawaii. Kikaua Point Beach Park is a small, man-made beach park, crowned with white-sand and dotted with palm trees. 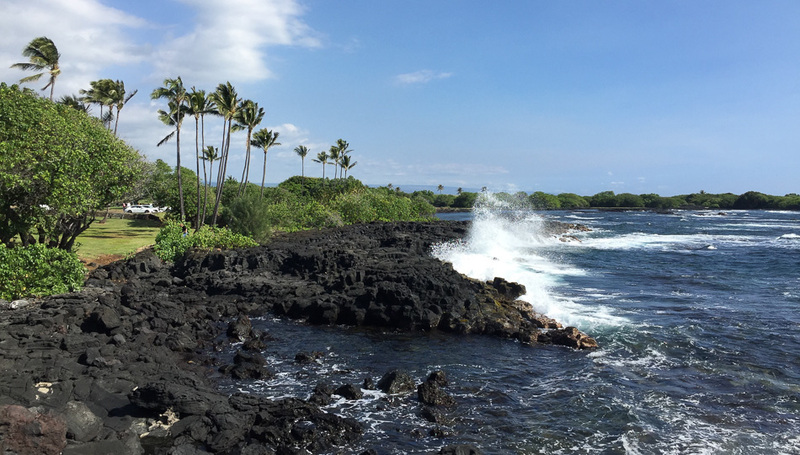 Hualalai lava rock frames its shore and creates a protected cove, perfect for family fun and a good place for little ones to swim. Kohanaiki Beach Park better known as Pine Trees Beach is a popular place among the local surfing community due to its consistent waves on the Big Island’s Kona Coast. It is also a favorite spot for beach side barbecues and watching the sunset. 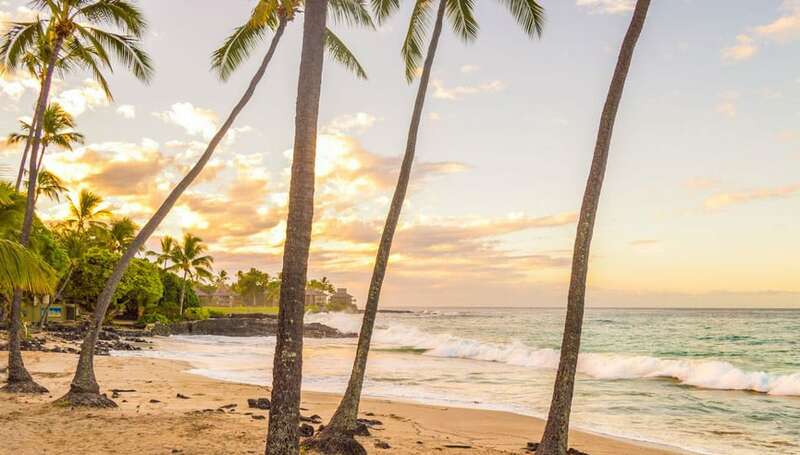 Located north of Kikaua Point on the Big Island of Hawaii’s Kohala coast you will find the white sands of Kukio Beach where travelers can enjoy sun, sand and waves and there is a good chance you will spot some Green Sea Turtles. 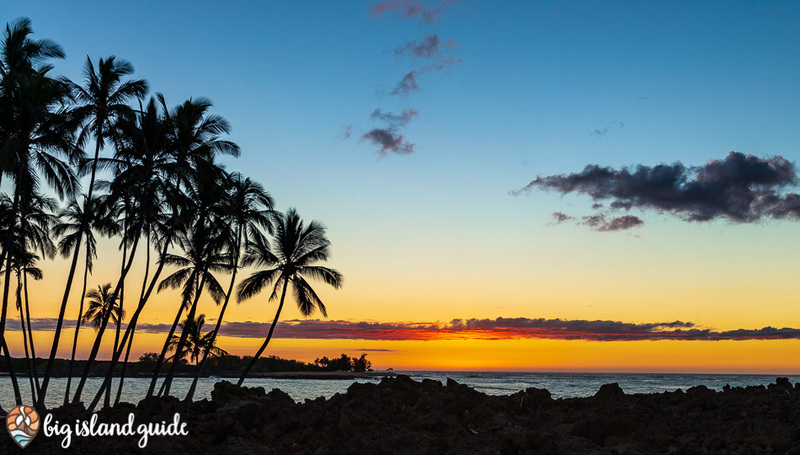 Tucked away on the impressive Hamakua Coast, Laupahoehoe Point Beach Park is a beautiful beach with a historic and unfortunate past, but that doesn’t mean Laupahoehoe Point Beach Park doesn’t offer gorgeous views and imagery ideal for a bit of sightseeing and picture taking. 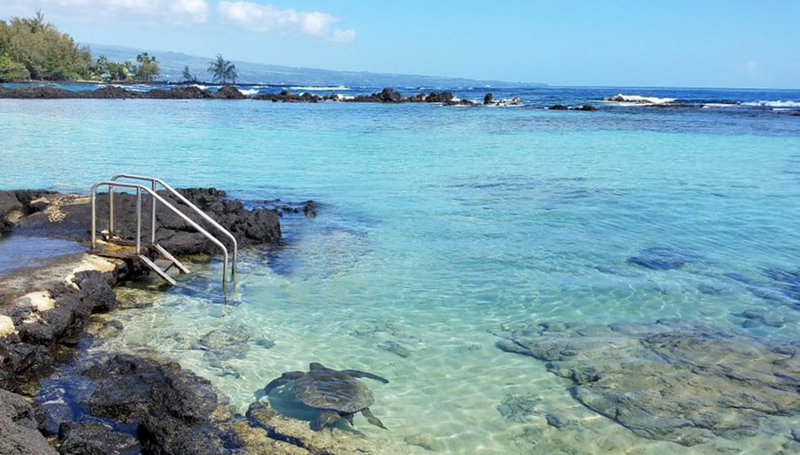 Just 5 miles from downtown Hilo, you will find Leleiwi Beach Park, a popular destination for travelers and locals due to its sequence of natural lava rock points, tide-pool coves, and fresh and geothermal hot springs near the Pacific Ocean. 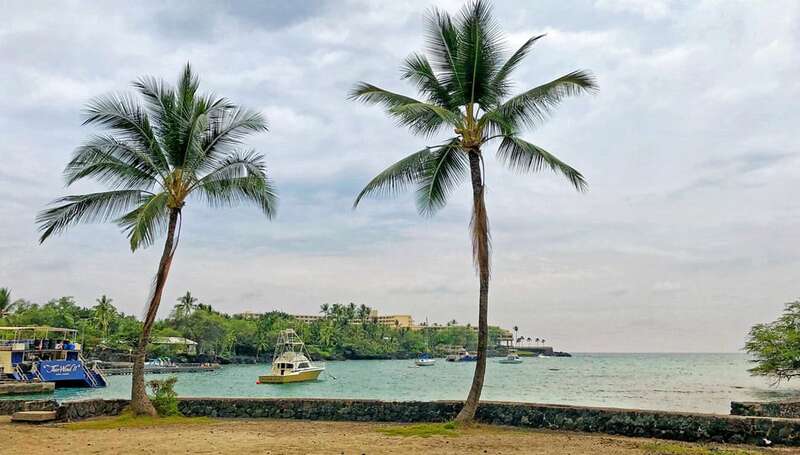 Lined by dense coconut palm trees, Mahaiula Beach is a picturesque Hawaiian beach with a large lava shelf just offshore that can make water activities difficult when it is rough, but relaxing here can be enjoyable for the whole family. 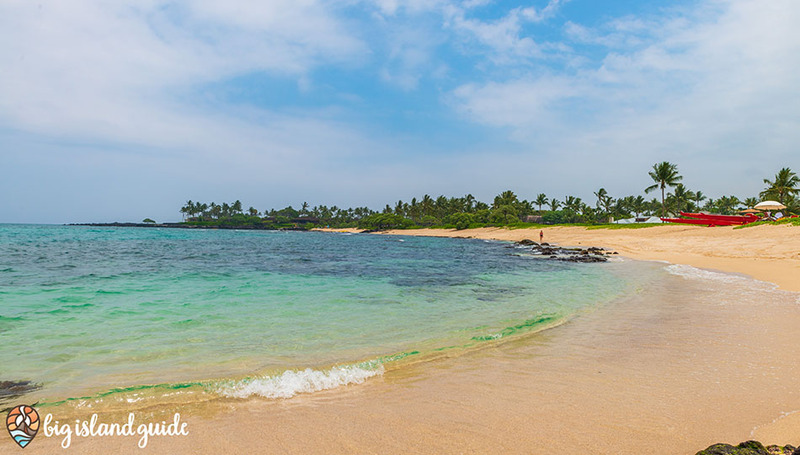 A gorgeous white sand beach just beyond Mahaiula Beach Park, this one mile stretch of postcard-perfect Hawaiian shorefront is difficult to access but well worth the effort. 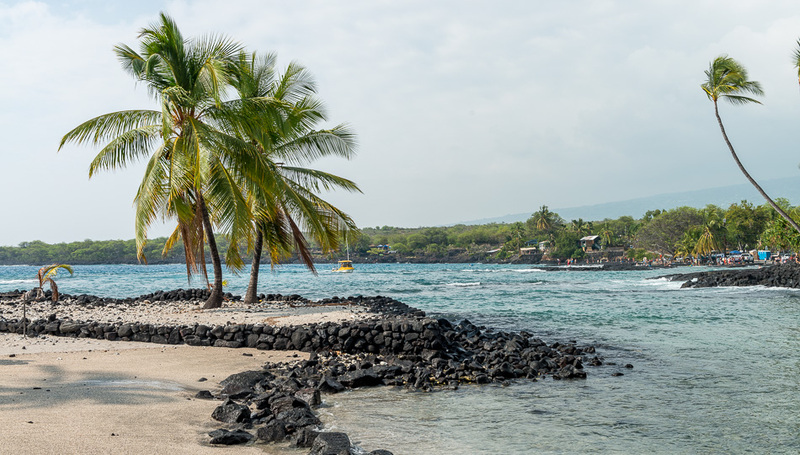 Easily accessible from Kailua-Kona, Kua Bay is a beautiful white sand beach that’s ideally suited for a quick snorkeling or swimming adventure in between activities. 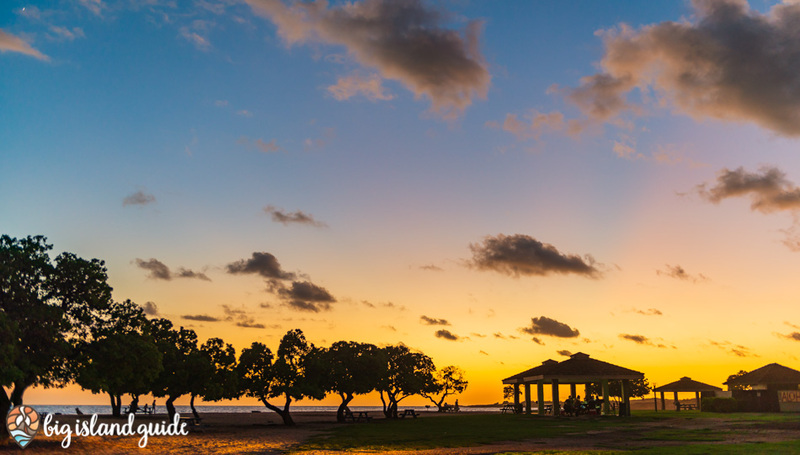 Old Kona Airport Beach Park is a comprehensive recreational area with extensive beach access, plenty of parking and covered picnic tables with incredible sunset views. 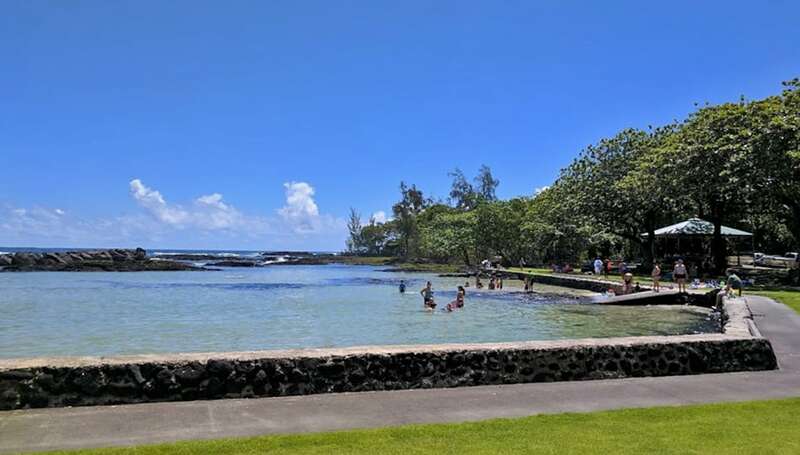 Onekahakaha is a great family beach park offering permitted pavilion picnic areas, restrooms, parking and showers surrounding a large shallow, white-sand bottomed geothermal spring filled pool protected by a lava rock seawall. 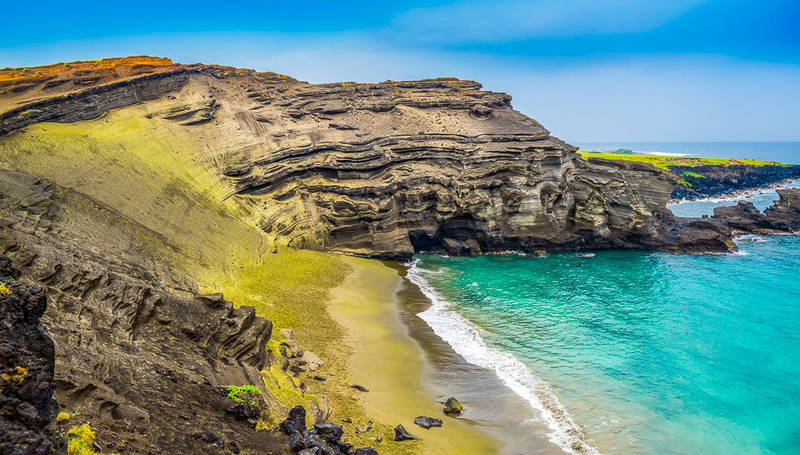 One of the most famous Big Island beaches, and one of two impressive green sand beaches on the Big Island, a trek to Papakolea Green Sand Beach is a bit of a hike, but well worth the effort. 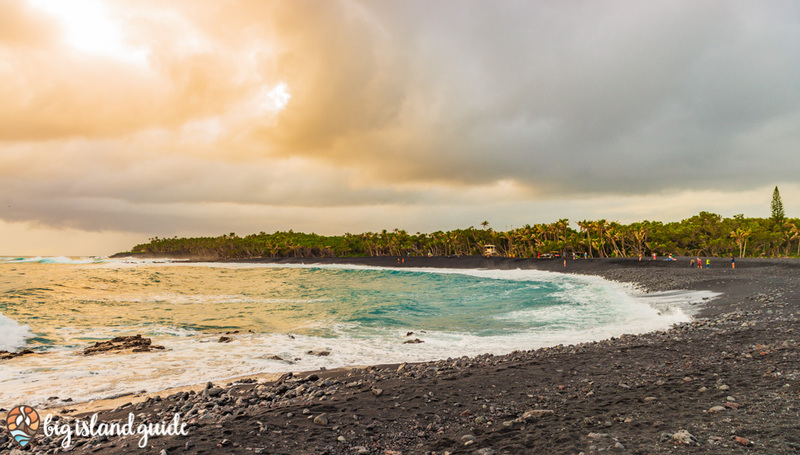 A secluded black sand beach with a mix of fine sand and large, polished lava stones, the waters here can be choppy, but if you’re looking for seclusion and sightseeing with a hike, this is the place for you. 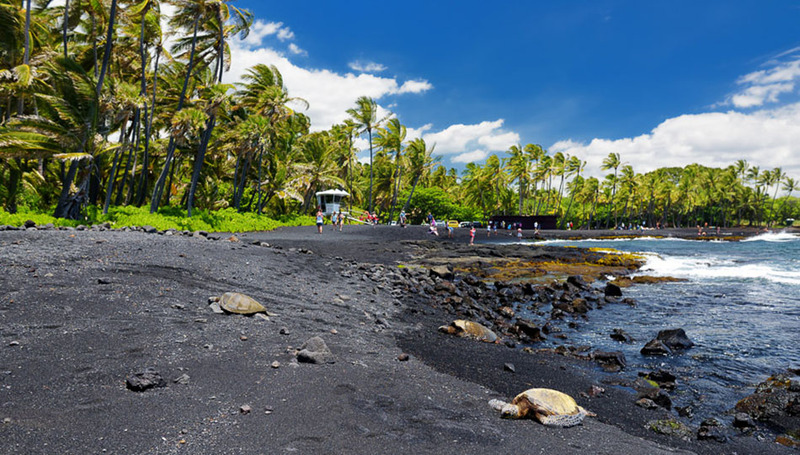 The most famous black sand beach on the Big Island, Punaluu Black Sand Beach is well positioned between Kona and Hilo near Volcano Village, making for a perfect relaxing beach stop after exploring Hawaii Volcanoes National Park. 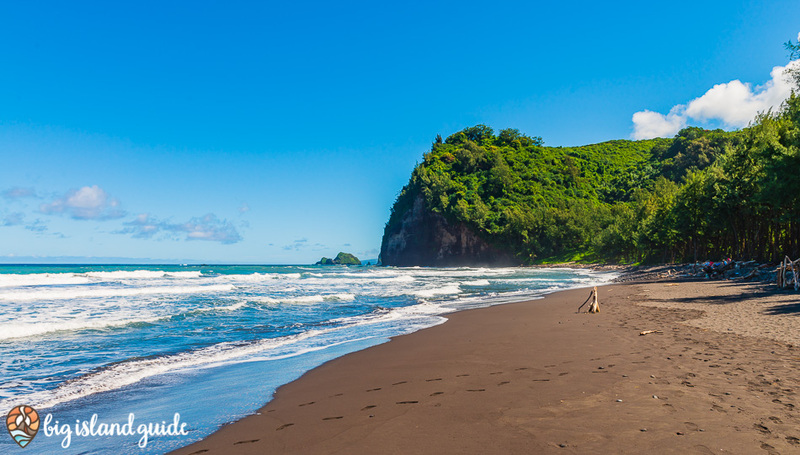 A black sand beach within easy reach of Hilo, Richardson Beach Park is an ideal snorkeling destination along the Hilo side. Equipped with showers, restroom facilities, picnic sites, and a lifeguard on-duty. 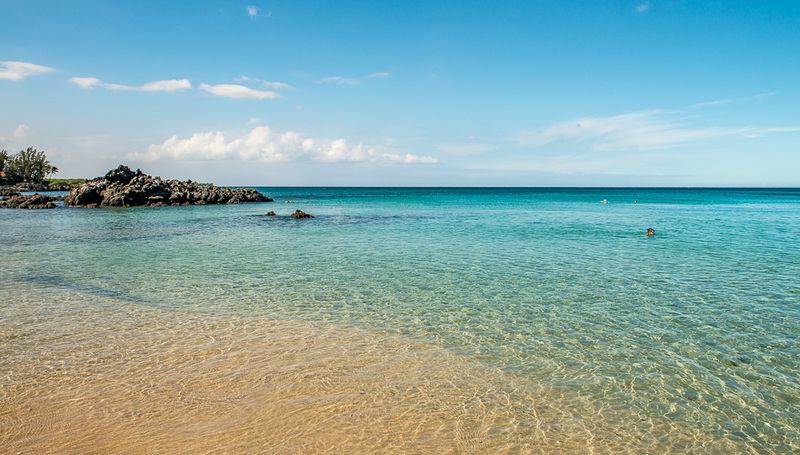 Protected by a reef on one side and a harbor on the other, Samuel M. Spencer Beach Park makes for the perfect family beach during your Hawaiian vacation. 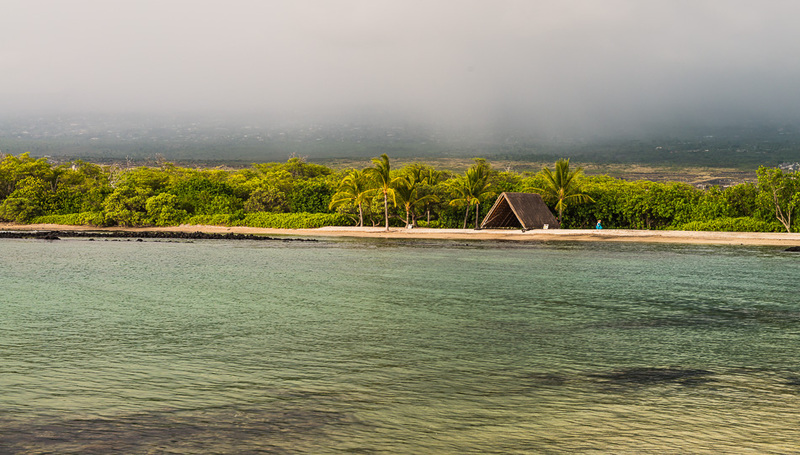 With restroom facilities, camping areas, and BBQ sites, it’s the ideal locale for a long, outdoor Big Island beach day. Known to the locals as Beach 69, Waialea Bay Beach is a popular snorkeling beach. With warm sunshine, plenty of shade, and gentle waves, Waialea is a popular weekend destination for tourists and locals alike. 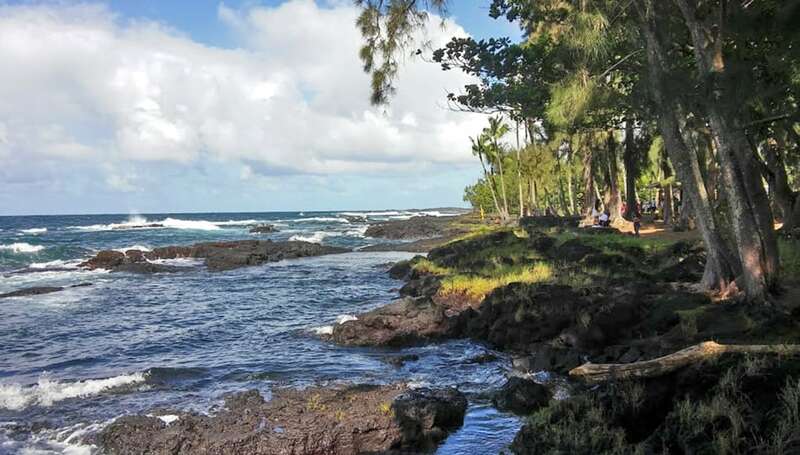 Waiolena Beach Park makes for a great location to enjoy an outdoor picnic and listen to the ocean waves crash along its rocky shore. 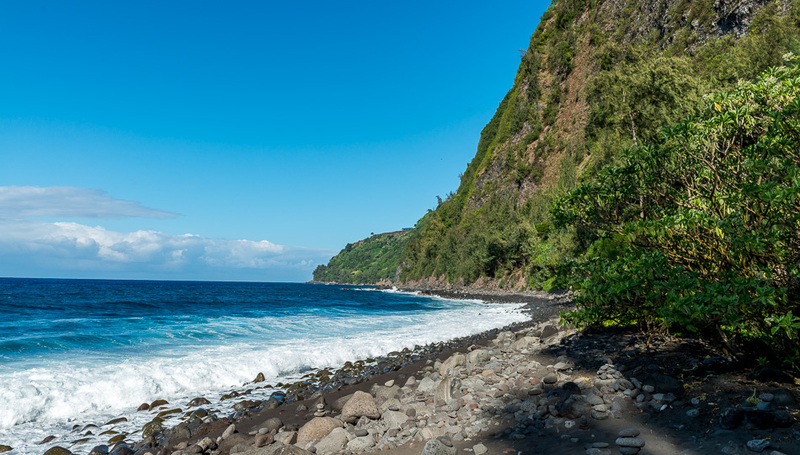 One of the least accessible beaches in Hawaii, Waipio Valley Black Sand Beach requires a significant hike or 4WD vehicle to access, but the beach and it’s incredible surroundings are worth the effort alone. 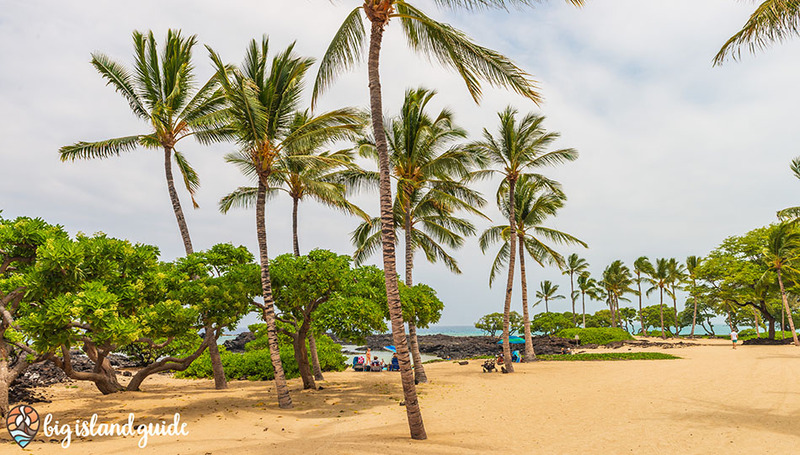 Located just 7 miles from downtown Kailua-Kona, you will find Wawaloli Beach Park, while not a traditional type of beach, it is a fabulous place to explore, lounge and soak up the sun. The protected tidal pool can be a good spot for kids to swim and play and the crashing waves make for beautiful photos. Better known as Magic Sands Beach due to the disappearing white sands during high surf, White Sands Beach Park is a well-equipped beach that provides good boogie boarding and some surfing opportunities. Despite the name, Whittington State Beach Park and Honuapo Bay don’t have much of a beach, but the scenic views offer a tremendous opportunity to take in the power of mother nature. There are also great facilities for overnight camping and ample space to park, camp, and barbecue. For beachgoers seeking adventure, snorkeling, surfing, and boogie boarding are all exciting activities the whole family can enjoy. But chances are you didn’t pack those items in your carry-on, so you’ll want to rent that equipment from a reputable rental company. Be sure to check out our complete Big Island gear rental guide and find the right gear for you and your water activities. 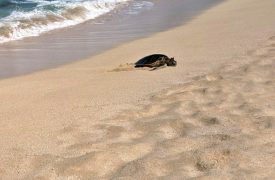 Big Island beaches are an ever-changing environment, making for an exciting and dynamic vacation experience. But as peaceful and serene as the waters surrounding Big Island beaches can appear, the ocean is a force to be reckoned with – and one to be respected and revered. Sharp coral, ragged lava rock, prickly sea urchins, and sudden shifting surf can turn your peaceful beach day into a dangerous venture. Visit the Hawaiian Lifeguard Association’s Beach Safety Website for more information. Never turn your back to the ocean. Sudden changes in the surf can bring dangerous waves and shifts in the tide. Always swim at a comfortable depth and never extend yourself further than you’re comfortable or capable of swimming. 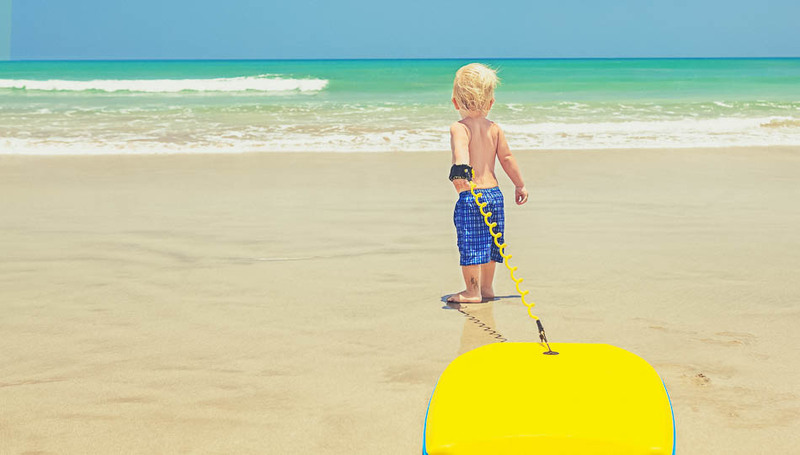 Keep a very close eye on children as they can easily be swept off their feet and may not be strong enough to swim out of a current or stand up to a wave. Always follow posted signs. Due to ever-changing currents and surf conditions, some beaches may be closed for safety reasons. Never enter the water if a beach is closed. Furthermore, some beaches, while open to the public, are located within close proximity of private property. Always be respectful of the locals, the land, and wildlife and stay on public property unless you receive express permission. The UV index in Hawaii is twice the average of the U.S. mainland and there’s nothing worse than suffering through a blistering sunburn while you’re on vacation. Be sure to apply plenty of environmentally-safe sunscreen and drink plenty of water to avoid overexposure to the sun. If you go snorkeling, be sure to wear a UV-safe shirt. Protect your valuables. While crime in Hawaii is minimal, tourist destinations can be targets for theft. It’s advised that you don’t lock valuables in your vehicle. Take advantage of your hotel’s safe or appoint a person to keep an eye on your groups belongings while you enjoy the water. Respect the land and clean up after yourself.